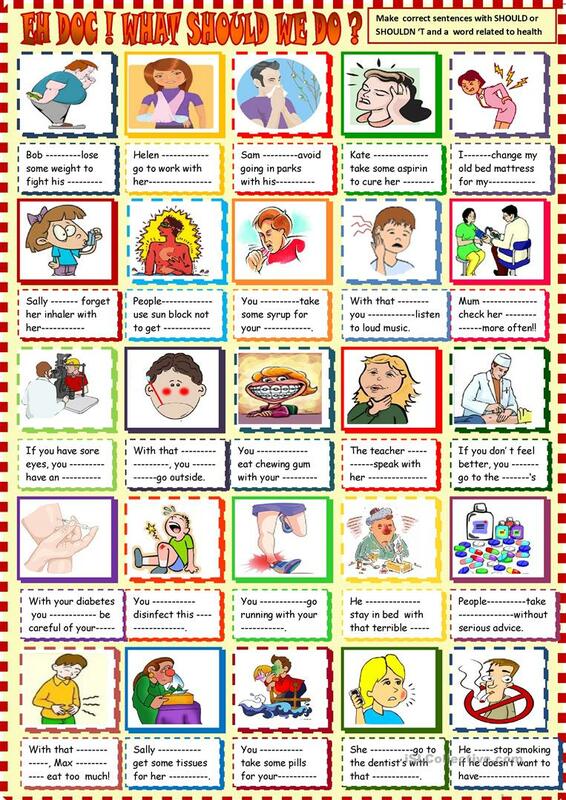 A worksheet in which sutents have to complete sentences with should or shouldn't and a word related to the theme of health( headache , backache, toothache, cold.. The present downloadable worksheet was created for high school students, elementary school students, adults and students with special educational needs, learning difficulties, e.g. dyslexia at Elementary (A1) and Pre-intermediate (A2) level. It is a useful material for teaching SHOULD, SHOULDN'T in English, and is useful for strengthening your class' Writing skills. It centers around the vocabulary topic of Health, going to the doctor.